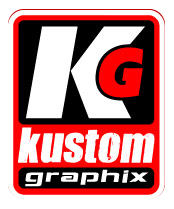 Let Kustom Graphix print your summer-themed ads or develop graphic designs that your customers will never forget. From October 15 to 31, 2014, we are offering $100.00 OFF the regular retail price of our roll up banner display systems. Good savings for your season opener marketing activities! We do vinyl signage, banners, car and boat graphics, safety signs, display systems, and even large format printing for company logos and office signboards. Save on your next round of advertising materials. Call us today to work with the best Perth signwriters and build a knockout advertising campaign for the summer season!